We are the sunniest city in Canada with 332.93 days of sunshine, not bad! There is no provincial sales tax in Alberta. Yahoo, love this one! The Plus 15 in Calgary is the world’s most extensive pedestrian skywalk system with a total length of 16 km and 59 bridges. Calgary has over 8,000 hectares of parkland within the city limits including Nose Hill park, which is the largest natural area urban park in Canada. 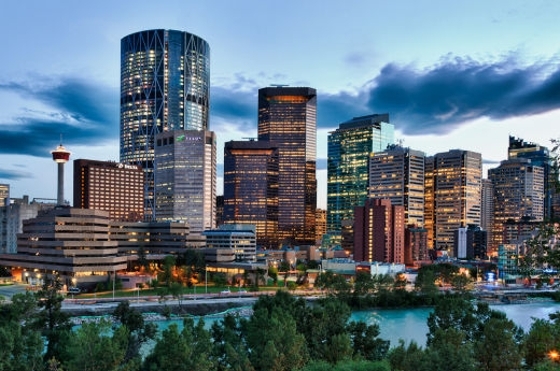 Last year Calgary was voted the "Cleanest City in the World" by Mercer Global Financial and HR Consulting. Calgary was also voted the Best Large City in Canada beating out 200 other cities. Over 1 million people come to visit the Greatest Outdoor Show on Earth, the Calgary Stampede, every year. Ginger Beef was created in Calgary in 1974 by a chef at the Silver Inn, yummm who doesn't love ginger beef! Canada’s best selling cocktail, the Bloody Caesar, was also invented in Calgary. Calgary has the youngest, best educated workforce in Canada – 60% of Calgarians have post secondary education and the median age is only 36, still very young right?! And we are only a little over an hour from the beautiful Canadian Rockies. I guess I can handle a couple more months of winter!